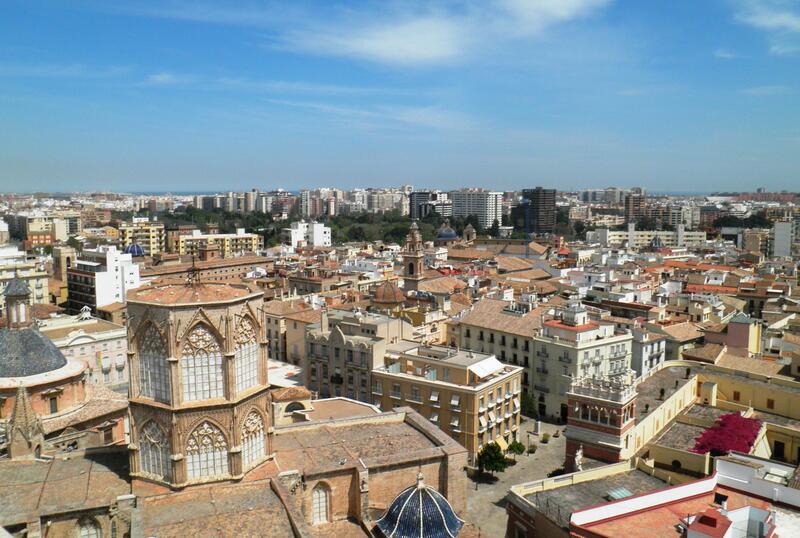 Valencia has a mix of old and new buildings, giving it a real special feel of its own. From medieval castles and towers to modernist and art deco architecture, from nice little shops to big shopping centres, Valencia has it all. And of course there are plenty of great places to eat and drink too! 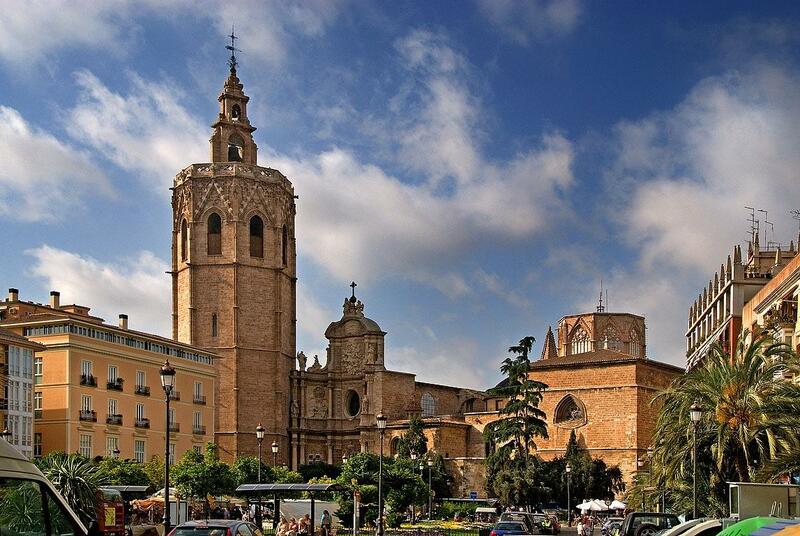 It’s a great money-saving option to consider if you are looking for a cheap holiday to Valencia. And this city is full of surprises! 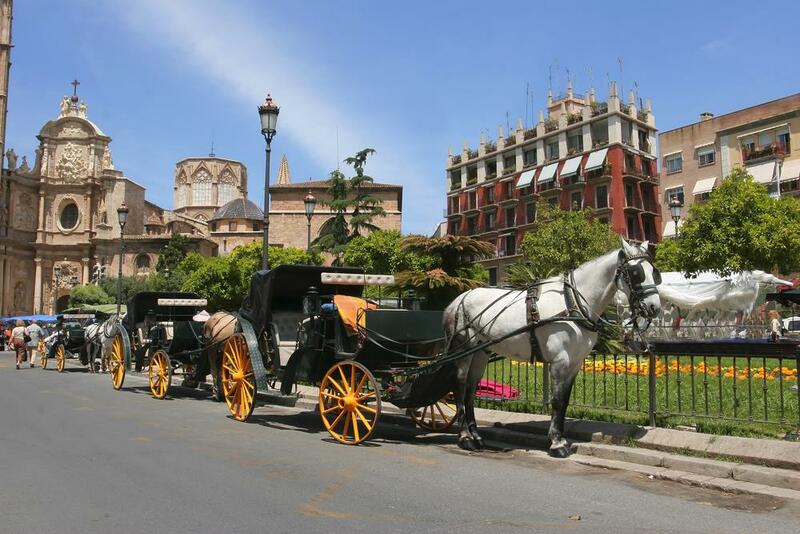 Did you know for example that Valencia has the largest inner city urban park in the whole of Europe? 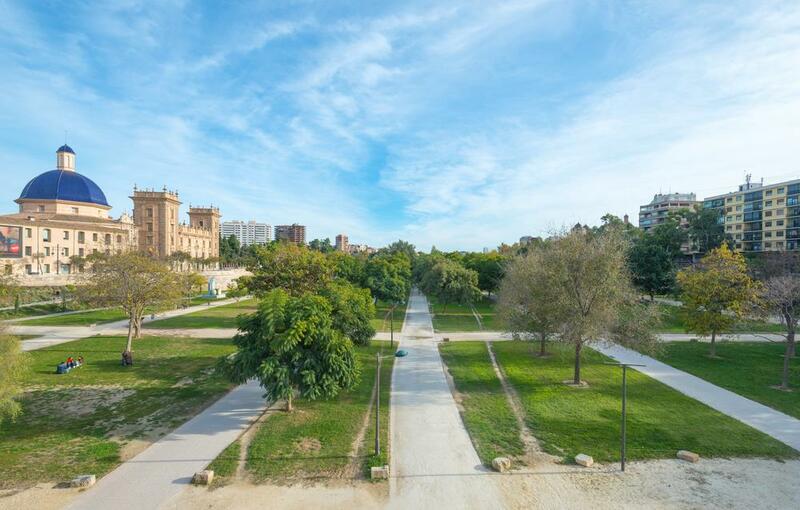 The famous Turia park, which used to be a river, is only one of five perfect public parks in Valencia. 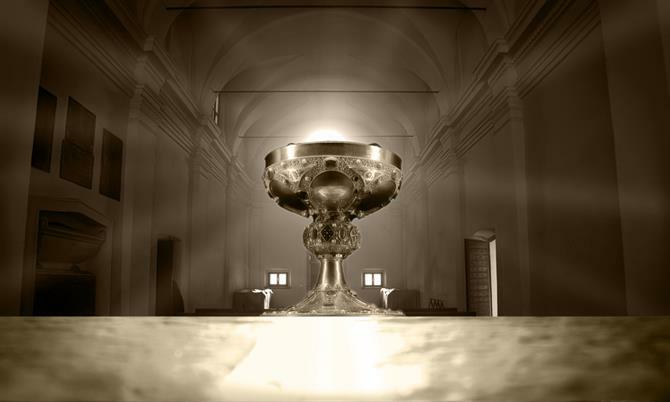 And did you know that the Holy Grail, the cup that Jesus was supposed to have drunk from at the last supper, is said to be kept in the cathedral in central Valencia? We look at eight cool things you can do in Valencia, most of which are either free or very cheap and we also suggest some great holiday rentals in Valencia city! There is another, more quirky plaza just off the Plaza de la Reina, called the Plaza Redonda, which is a must-see because of its peculiar design. This little cosy square is circular and lined with quirky stalls or shops selling haberdashery, lace, aprons, bibs, crafts, souvenirs and even pet birds. Due to regeneration works by the city council it has become rather tourist focused, sadly resulting in losing some of its rustic charm. However, it is still a cool square to see, and it has a beautiful fountain dating from 1850 right in the middle. Also, this plaza lies right next to Plaza Lope de Vega, where you can try and spot what is said to be the narrowest building in Europe! 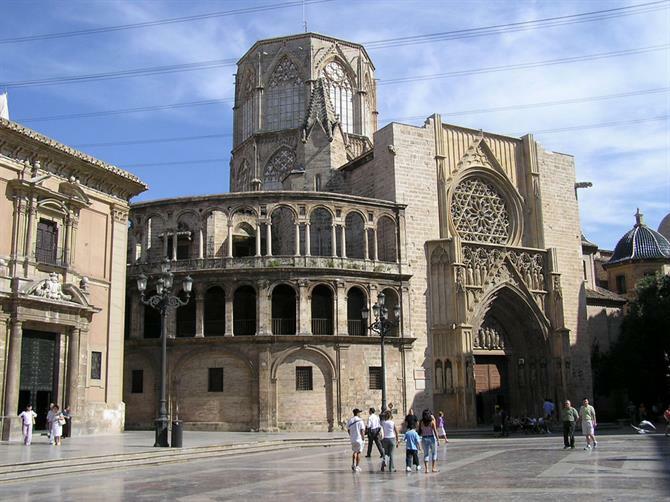 The former mayoress of Valencia, Rita Barberá, once suggested that the city should be named the ‘City of the Holy Grail’ to attract more tourists, which would mean moving it from its current location in a quaint little side chapel to the main cathedral area. For art fans, there are two unmissable Goya paintings in the San Francisco de Borja chapel of the cathedral. A bit further away you will find the other local beaches such as Playa de Pinedo and Playa el Saler, which also has a golf course nearby. 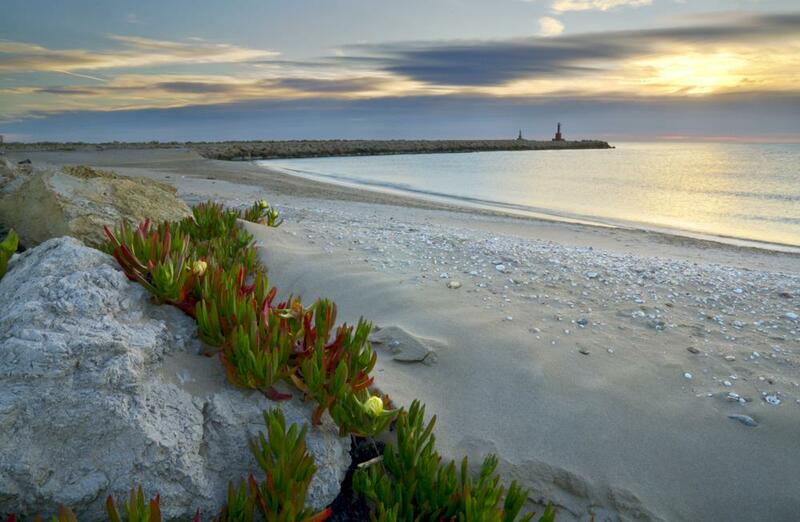 North of the city you will find Playa Port Saplaya, and a bit further still, the Roman area of Playa Sagunto. If you prefer to stay near one of the relaxing beaches around Valencia, have a look at our holiday homes for your holidays to Valencia. Valencia has several purpose-built shopping malls too, known as ‘Centros Comerciales’, and they include Nuevo Centro, El Saler, BonAire, Parque Ademuz, Aqua, or if you are feeling generous, the high-end mall of Galería Don Juan de Austria, near the Plaza del Ayuntamiento. There are also several malls on the outskirts such as El Osito in La Eliana and several other smaller ones dotted about in the various outlying areas. The Fallas festival is by far the weirdest, loudest and most spectacular thing you are ever likely to see go on in a city. It's hard to describe unless you have experienced it, but in a nutshell, each area of the city, and some outlying towns too, spend a whole year constructing large and exuberant statues, then exhibit these statues on the streets for a whole week, throwing fireworks at each other - yes, even small children, letting off firecrackers 24 hours a day, with street parties and plenty of dressing up and parading in fancy outfits. The entire city is gripped with fervent fiesta fever when Fallas starts and many businesses close for the whole week and get involved themselves. 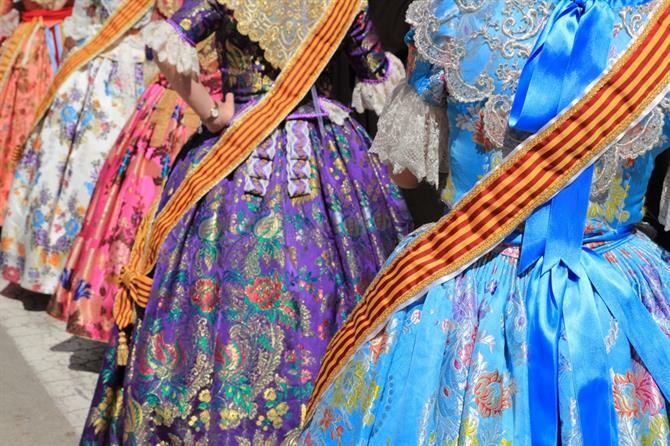 There is a religious element to it and the women dress up in very elaborate old-fashioned dresses, which are multilayered, very expensive and apparently not very comfortable to wear (!). Towards the end of the fiesta, they all gather within the centre of the city for various parades, one of the most important being the offering of flowers to the Virgin Mary, a huge wooden statue erected in the centre, and each fallera girl or woman brings flowers which are then attached to the statue via a scaffold and some nimble efforts by the men who dress the effigy. 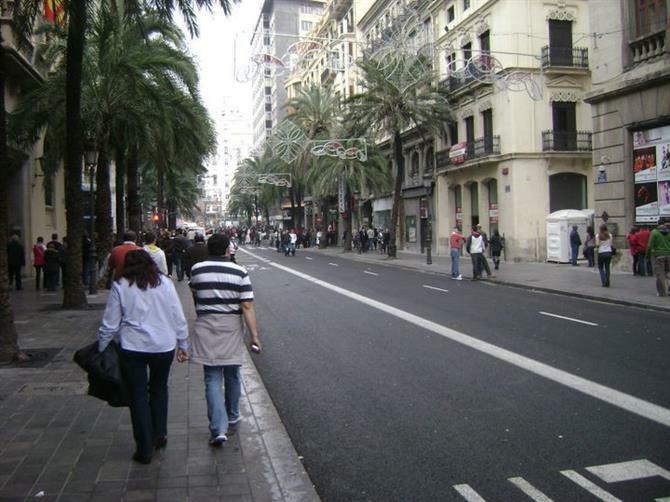 Each day at around 2pm, a massive amount of fireworks are let off in the vast square in front of the town hall, and this is known as the mascletà. 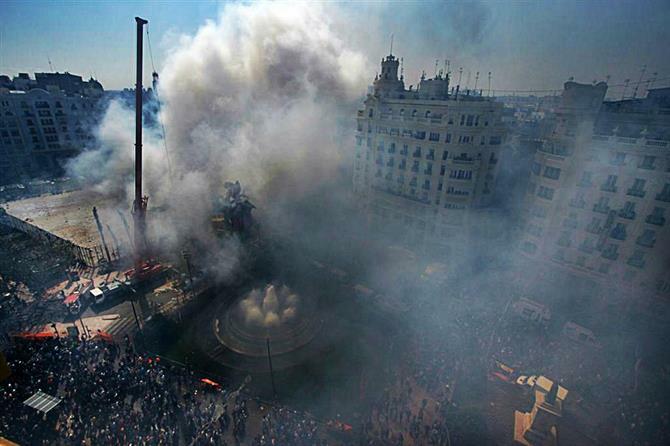 At the end of the fiesta, the statues that took a year to make and in some cases up to 100,000 euros, get burnt down to the ground by their creators, who then start again for the following year! 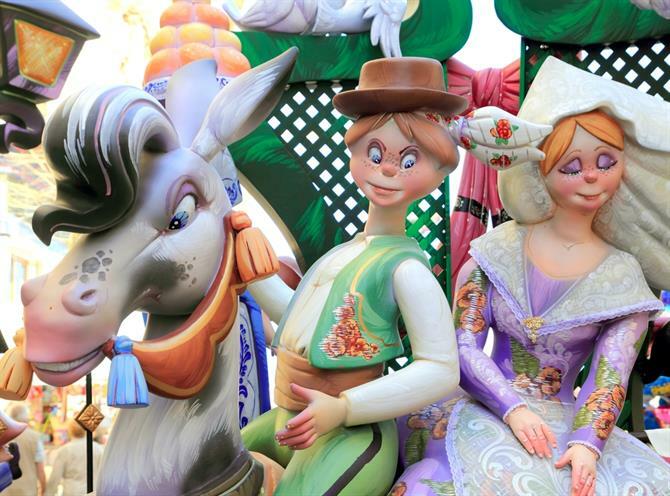 If you have never experienced Fallas, which happens in March, then it is certainly something you really have to come here and experience first-hand. Insanity on several levels but fun all the same, as are many famous fiestas in Spain. Be prepared for the public transport to be absolutely packed with tourists at this time of year. 7. The old Turia river bed. At one time, a wide and powerful river bisected the city in the same manner as the Thames separates the two sections of London. The river Turia, which starts way up in the surrounding mountains, ran in the middle of the city and out towards the sea, but in the mid 50's a horrendous storm and high tide saw the river burst its banks, and it flooded the centre of Valencia to a depth of two metres. A plan was created during the massive clean-up afterwards to divert the river from its present course and so it was re-routed elsewhere, to ensure that this kind of flooding never happened again. The upside is that this project created a beautiful park right in the centre of the city. The park can be walked or cycled along, and you can actually rent bikes at one end and then drop them off at the other, although July and August are probably a bit too hot for this pursuit. The landscaping has been well thought-out and is divided into various sections. There are sports facilities abound here, including the region's one and only Cricket club, known as 'Levante Cricket Club', located at the 'Campo de beisbol y softbol', which was started by some of the local expatriates. For the green-fingered amongst you, it is possible to see a massive variety of plants and trees along the old river bed, and you will also find the Botanical Gardens right next to it, plus the famous Royal Gardens, which can be found near the Alameda tube stop. As you walk or cycle along the river bed, you pass under the various bridges that connected the two parts of the city, some being hundreds of years old. 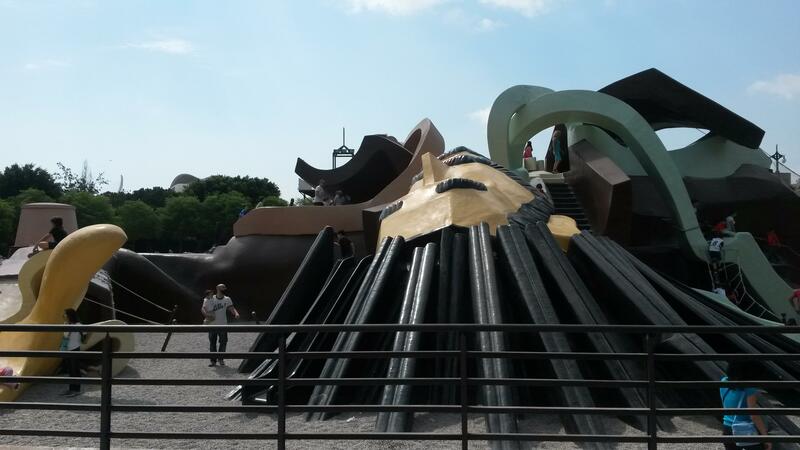 There are of course cafes and bars along the way to buy refreshments and also some rather odd additions like Gulliver, which is a a model of the giant from Gulliver's Travels, but it has been made so it has slides and places to clamber around for the kids. Entrance is free. It can also clearly be seen from Google Earth! If you head eastwards in the park, towards the sea, you cannot miss the futuristic buildings of the City of Arts and Sciences, the last cool thing on this list! 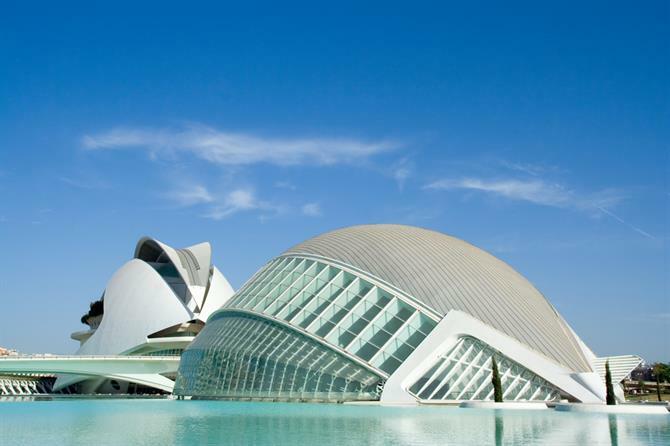 The ‘City of Arts and Sciences’ in Valencia is widely recommended as a must-see for any first-time visitor to the city. The rather tongue twisting name for it refers to a group of futuristic buildings designed by local architects, namely Santiago Calatrava and Félix Candela, and who built this amazing place in stages, starting in 1998, at the seaward end of the old Turia river bed. - The first one built, L'Hemisferic, was designed to look like a giant human eye. It offers, among other things, a 3D panoramic cinema, which is always popular with both locals and tourists. Once you descend into the cinema, you are given 3D glasses which have built-in speakers, programmed to your own language so no matter what country you are from, you can sit back and fully enjoy the movies, of which there are many. - Then we find El Museu de les Ciències Príncipe Felipe, or the Prince Philip Science museum. It has a programme of changing exhibits at various times of the year and you don't have to be a science fan to enjoy it. It's very educational for children too, with plenty of activities inside to keep them entertained. - The other part of the complex houses L'Umbracle, which is completely free and is a landscaped walk of plants native to the area and various artistic and thought-provoking sculptures. - Then there is L'Oceanogràfic, which is basically a small version of Sea World, so expect to pay to visit. It’s not cheap, but it is well worth it for sure. They do a dolphin display and it has the largest glass water tunnel in Europe to walk through, directly underneath the massive fish tank, with sharks swimming a few metres from your face! - El Palau de les Arts Reina Sofía is the next part, which is an impressive looking opera house and theatre. - The last and newest bit is L'Àgora, which is a covered exhibition space and sports arena with the shape of an ellipse. The City of Arts and Sciences is, with its stunning architecture, actually a great sporting venue, and Valencia hosts spectacular sport events every year. 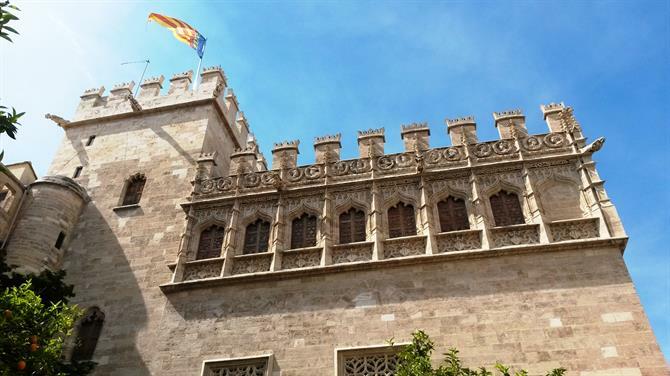 Whichever option has your preference, the City of Arts and Sciences is most certainly a recommended day out and many signs and leaflets are there to guide you in English so you don't get lost. If you come by car, the City of Arts and Sciences does have car parking, although many people ‘in the know’ opt for the cheaper parking in the large shopping centre across the main road. If you decide to go shopping or have a meal after your visit, your parking ticket is free if you spend a certain amount of money. For those who stay somewhere in the city, read about how to get there by bike or public transport in ‘City of Arts and Sciences: Part 1’ and ‘City of Arts and Sciences: Part 2’, with also more details about this wonderful complex, which will amaze young and old. A really cool thing to do indeed! 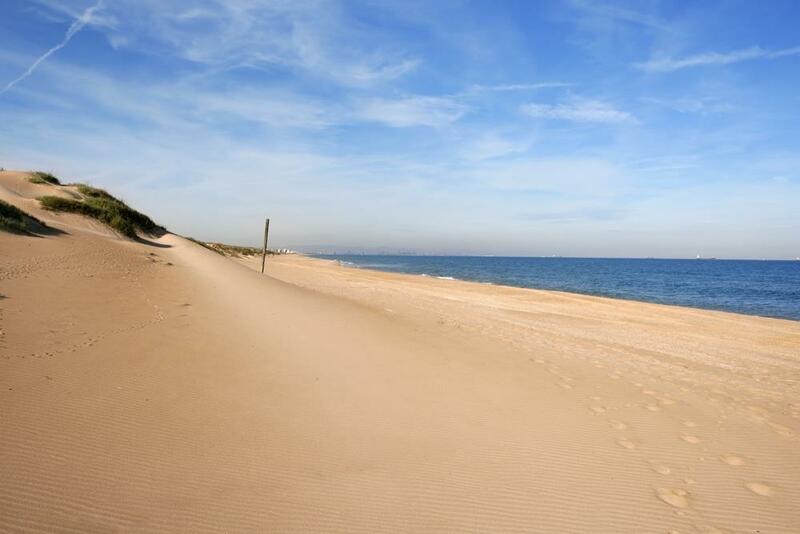 Looking for a beach day in Valencia without going far? Check out Valencia's beautiful city beaches: La Malvarrosa and Las Arenas!